“If we had the chance to do it all again, tell me would we, could we?” Barbra Streisand had a hit singing this question in “The Way We Were,” but when it comes to getting a new pet she does not have to wonder. 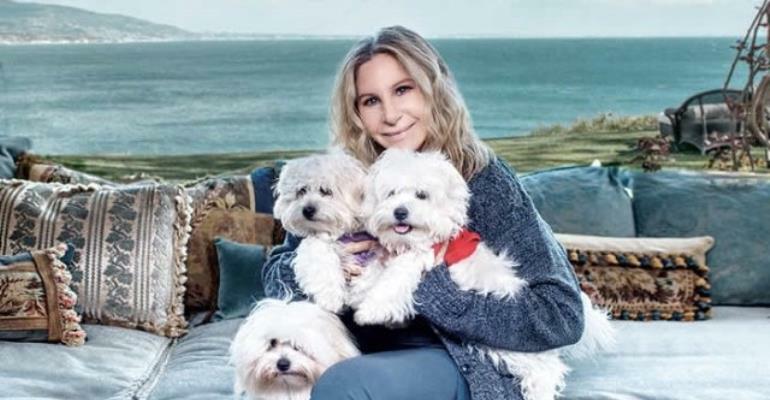 The “Funny Girl” singer and actress had her beloved 14- year-old Coton de Tulear dog Samantha cloned after her death in 2017, and now has two new pups. The Oscar and Tony-winning actress, 75, said that while waiting for their arrival, she became smitten with another dog who was a distant relation of Samantha. The Coton de Tulear dog was called Funny Girl, but Streisand adopted her and gave her the name Miss Fanny, which is how Fanny Brice’s dresser refers to Streisand’s character in the 1968 movie musical that launched her career. Streisand followed up “Funny Girl,” for which she won an Oscar, with “Hello Dolly!” but said she had never much liked the movie.